About a week before Anarchapulco 2019 officially kicked off, tragedy occurred. A young man who was loved by many in the anarchist community here in Acapulco was killed. Stories quickly began to circulate in the “mainstream media” about the murder of John Galton. But what should have been a time for mourning and respect was quickly twisted and weaponized by “journalists” as a smear campaign against freedom-lovers and anarchists. Even with all I’ve learned over the years, I was still taken aback by the crass, insensitive tactics used by the media over such a serious, tragic matter. But amid all the gossip and hit pieces, I had an experience that will likely never be reported by journalists. Indeed, there was some fallout from the smear campaigns, as a few attendees and even guest speaker Andrew Napolitano felt the need to cancel his appearance at the last minute due to some of the lies being spread. I later heard Judge Nap’s cancellation may have been due to his employer Fox News and not his personal choice - if so I understand and apologize for my initial reaction. It’s been a massive teaching moment and you begin to learn who your real allies are---and who truly cares about a free, peaceful future for all. As rough as it is to lose friends in this fight, it’s illuminating to see who’s left standing---those brave and bold enough. 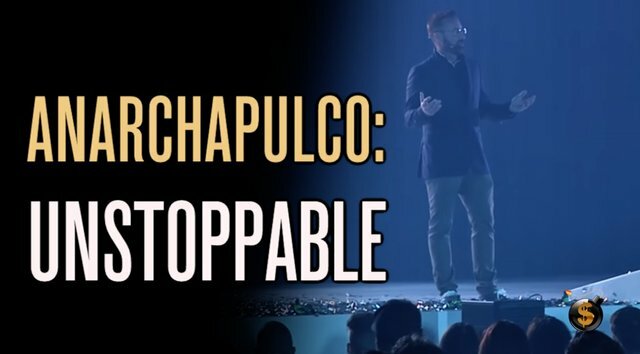 And that is indeed what I saw at Anarchapulco 2019: even with all the fake news and fear-mongering, a world-class resort packed with over two thousand of the brightest, kindest people you’ll ever meet. Still, with all the adversity, we had an incredible time between all the extraordinary speakers, fun activities, musical talent, and yes: partying. This community has been graced by world-class entertainers including the likes of Immortal Technique, members of Wu-Tang, The Crystal Method, and more! How can they possibly stop this movement now? If you missed out on the experience this year, no worries: The entire TDV Summit and nearly every speech from Anarchapulco 2019 are now available on-demand. Most of these presentations are of the “life changing” variety, and you can purchase them HERE. 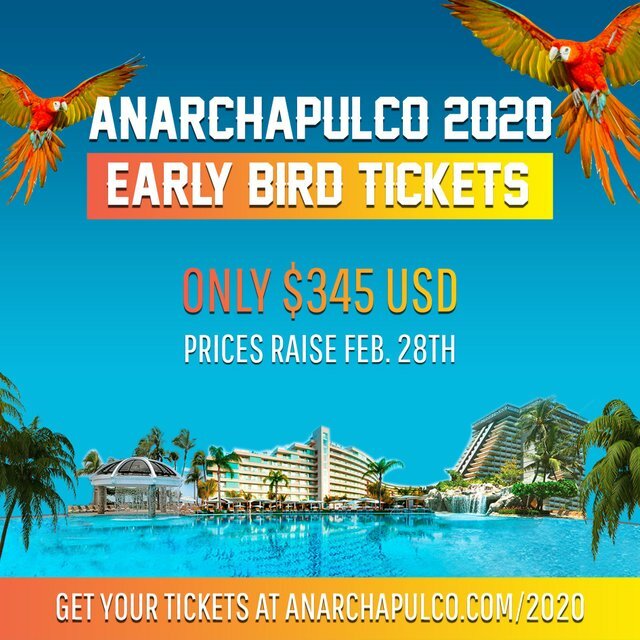 Anarchapulco 2020 is already in the works, it will be bigger and better, and you can already be part of it as pre-sale tickets are on sale now until February 28th! We cannot be stopped, we won’t be stopped, the only question is: will you be joining us? Andrew Napolitano should have asked Ron Paul how dangerous Acapulco was last year.